OnePlus 5 and 5T recently got the Android 8.0 Oreo update and now the company is working on a new OxygenOS update based on Android 8.1 Oreo. 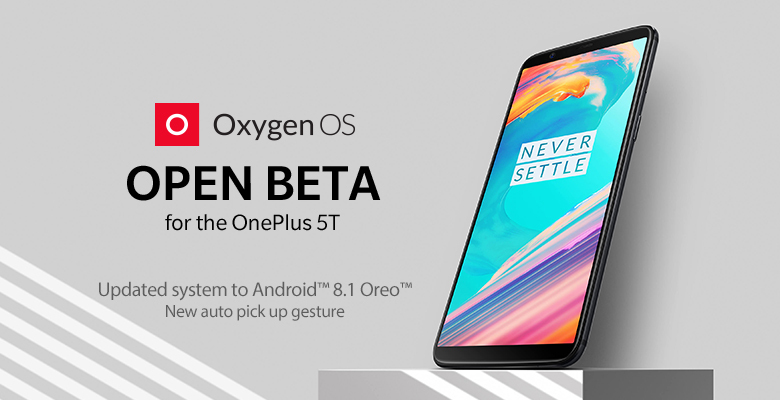 OnePlus has announced the OxygenOS Open Beta 6 For OnePlus 5 and Open Beta 4 for OnePlus 5T which is based on the latest Android 8.1 Oreo release. The latest OxygenOS beta update for the OnePlus 5T and OnePlus 5 brings some new feature like Gaming mode optimizations, pickup gesture for incoming call and the OnePlus Switch now support migration of application data. There is now a new call pick up gesture which enables the user to pick up an incoming call just by raising your smartphone. There are more clock styles which you can set on the ambient display. For OnePlus 5T, the update comes with more optimized full-screen gesture support. The Android security patch has been upgraded to February 2018. Gaming mode in OnePlus 5 and 5T is now more optimized for a more immersive gaming experience. The gaming mode now includes a power saving mode and it temporarily pauses adaptive brightness. OnePlus Switch app has been upgraded with support to migrate every type of data from the smartphone including the application data seamlessly. The new update is about 1.6 GB for both the smartphones which also includes the latest security patch. If you are an owner of OnePlus 5 or 5T and you haven’t flashed the previous Open Beta ROM then you have to flash it manually by download it from here.